In transparent window is the head of Medusa Gorgoneion. 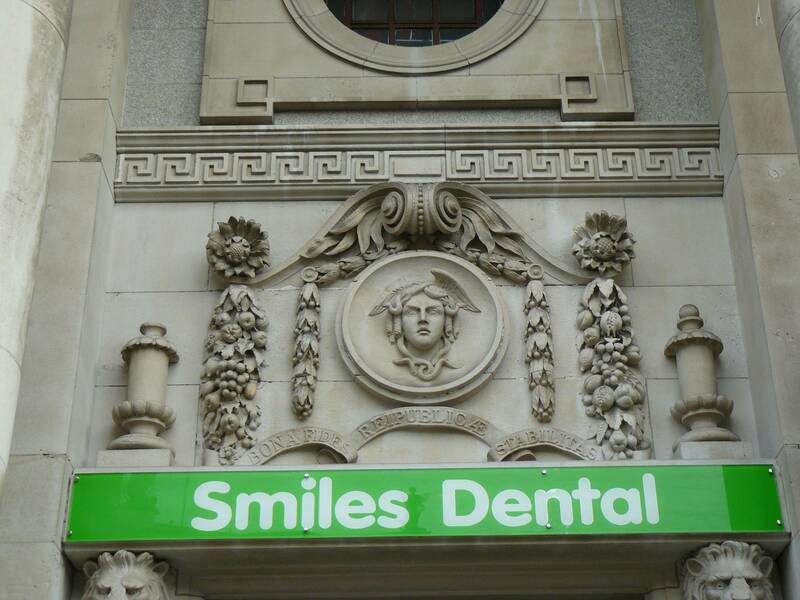 Centered and multiplied on top are the heads of Medusa (Gorgoneion). In Ancient Greece, the Gorgoneion (Greek: Γοργόνειον) was a special apotropaic amulet showing the Gorgon head, used most famously by the Olympian deities Athena and Zeus: both are said to have worn the Gorgoneion as a protective pendant (remedy for the evil eye). In Greek mythology Medusa (Μέδουσα "guardian, protectress") was a monster, a Gorgon, generally described as a winged human female with a hideous face and living venomous snakes in place of hair. Gazers on her face would turn to stone. Most sources describe her as the daughter of Phorcys and Ceto, though the author Hyginus (Fabulae Preface) makes Medusa the daughter of Gorgon and Ceto. According to Hesiod and Aeschylus, she lived and died on an island named Sarpedon, somewhere near Cisthene. The 2nd-century BCE novelist Dionysios Skytobrachion puts her somewhere in Libya, where Herodotus had said the Berbers originated her myth, as part of their religion. The photos are taken from Antonia Hart's Blog. The Hibernia (on left side) - female personification of Ireland. 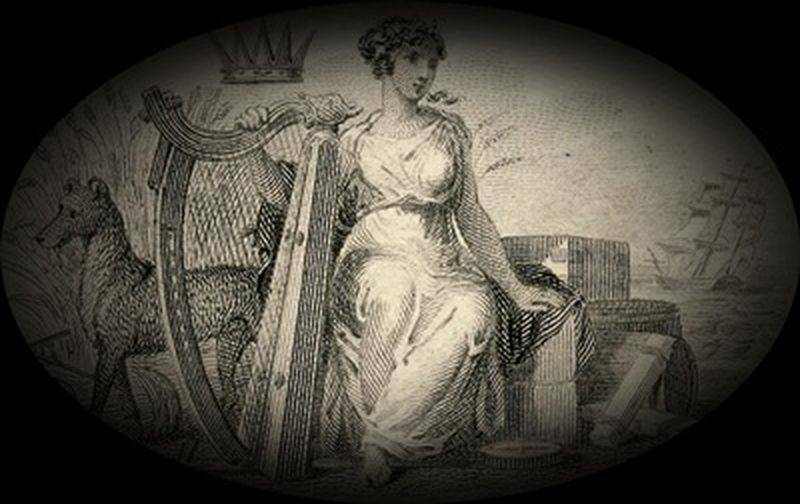 Hibernia as a national personification representing Ireland appeared in numerous cartoon and drawings, especially in the nineteenth century. As depicted in frequent cartoons in Punch, a magazine outspokenly hostile to Irish nationalism, Hibernia was shown as "Britannia's younger sister". She is an attractive, vulnerable girl. She is threatened by manifestations of Irish nationalism such as the Fenians or the Irish National Land League, often depicted as brutish, ape-like monsters. Unable to defend herself, Hibernia is depicted turning to the strong, armoured Britannia for defence. John Tenniel, now mainly remembered as the illustrator of Alice's Adventures in Wonderland, produced a number of such depictions of Hibernia. 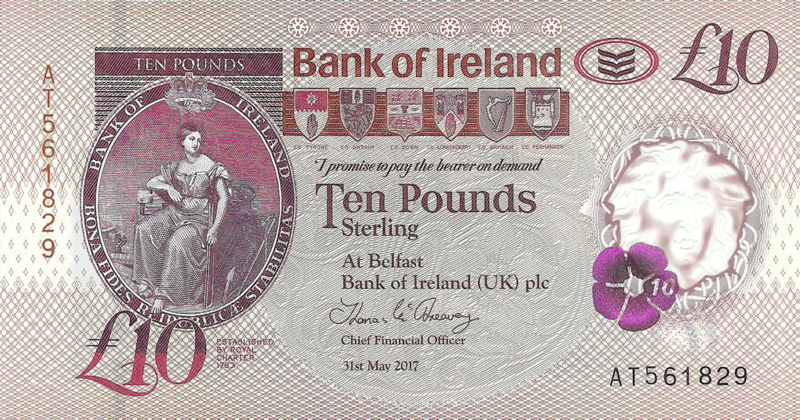 At times nationalist publications (such as the Land League and Parnell's United Ireland newspaper) did use the image of Hibernia. However, possibly because of the pro-union publications' adoption of the "helpless" image of Hibernia, nationalist publications would later use Erin and Kathleen Ni Houlihan, as personifications of Irish nationhood. Although Irish Nationalists did continue to use the terms "Hibernia" and "Hibernian" in other contexts, such as the Ancient Order of Hibernians. A statue, derived from an original by Edward Smyth and depicting a more confident Hibernia (with harp and spear), stands in the central position of three atop the General Post Office in Dublin. On top are 6 coats of arms of 6 counties of Northern Ireland. The first, from left side is the coat of arms of Tyron county. The coat wears the red hand of Ulster, indicating that the county is part of Ulster and Northern Ireland. The 'fleur-de-lis' at the top of the crest is indicative of the county's connection to the British royal family. The hand is either derived from the O'Neill dynasty, once the most prominent Irish clan in Ulster, or the Dextra Dei of early Christian iconography. The Red Hand is rooted in Gaelic culture and, although its origin and meaning is unknown, it is believed to date back to pagan times. The Red Hand is first documented in surviving records in the XIII-century, where it was used by the Hiberno-Norman de Burgh earls of Ulster. It was Walter de Burgh who became first Earl of Ulster in 1243 who combined the de Burgh cross with the Red Hand to create a flag that represented the Earldom of Ulster and later became the modern Flag of Ulster. It was afterwards adopted by the O'Neills (Uí Néill) when they assumed the ancient kingship of Ulster (Ulaid), inventing the title Rex Ultonie (king of Ulster) for themselves in 1317 and then claiming it unopposed from 1345 onwards. An early Irish heraldic use in Ireland of the open right hand can be seen in the seal of Aodh Reamhar Ó Néill, king of the Irish of Ulster, 1344-1364. An early 15th-century poem by Mael Ó hÚigínn is named Lámh dhearg Éireann í Eachach, the first line of which is a variation of the title: "Lamh dhearg Éiriond Ibh Eathoch", translated as "The Úí Eachach are the "red hand" of Ireland". The Uí Eachach were one of the Cruthin tribes (known as the Dál nAraidi after 773) that made up the ancient kingdom of Ulaid. The Red Hand symbol is believed to have been used by the O'Neills during its Nine Years' War (1594-1603) against English rule in Ireland, and the war cry lámh dearg Éireann abú! ("the Red Hand of Ireland forever") was also associated with them. An English writer of the time noted "The Ancient Red Hand of Ulster, the bloody Red Hand, a terrible cognizance! And in allusion to that terrible cognizance- the battle cry of Lamh dearg abu!" 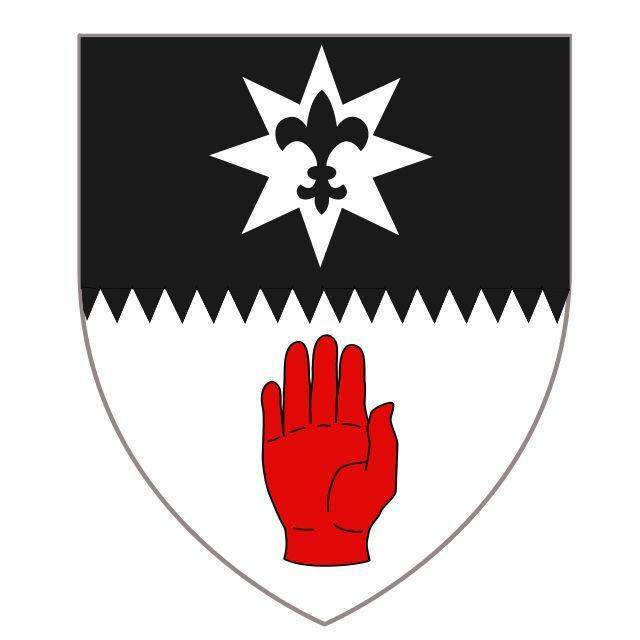 The Order of Baronets was instituted by letters patent dated 10 May 1612, which state that "the Baronets and their descendants shall and may bear, either in a canton in their coat of arms, or in an inescutcheon, at their election, the arms of Ulster, that is, in a field argent, a hand gules, or a bloody hand." The oldest baronets used a dexter (right) hand just like the O'Neills, however it later became a sinister (left) hand. 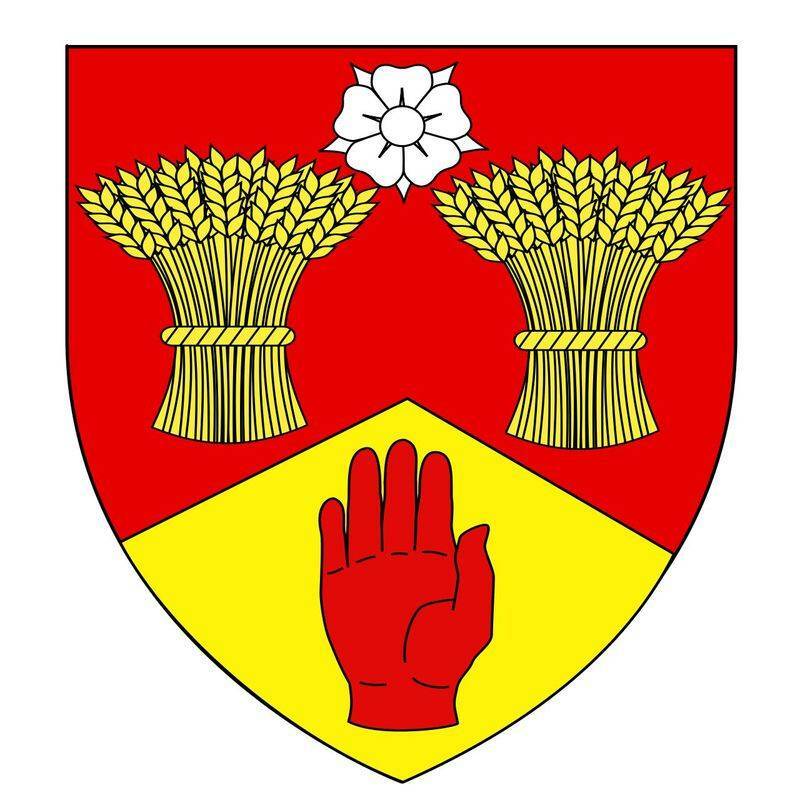 The coat of arms of Antrim county, Northern Ireland. Explanatory description of the emblem is not found yet. 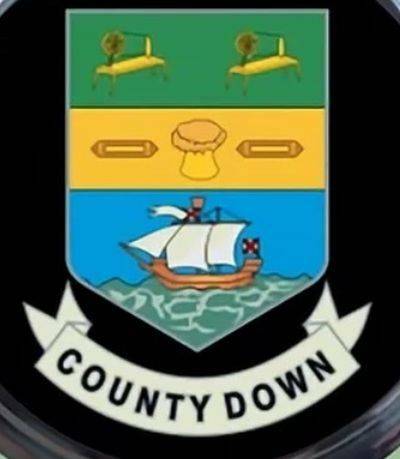 The coat of arms of Down county, Northern Ireland. 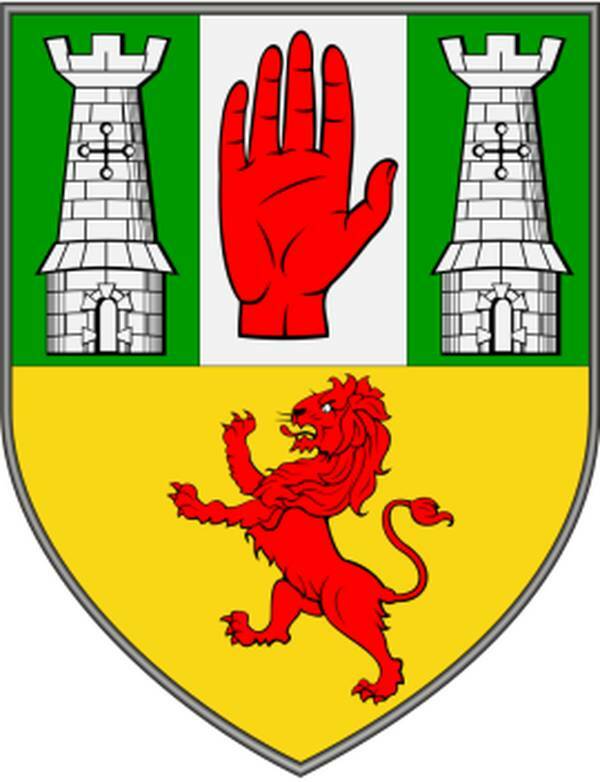 The coat of arms of Londonderry county, Northern Ireland. 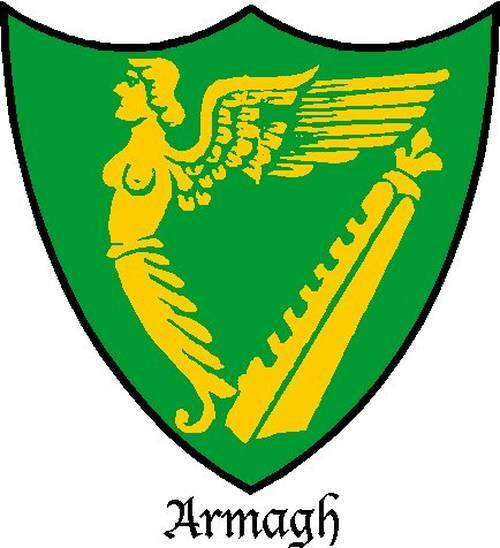 The coat of arms of Armagh county, Northern Ireland. 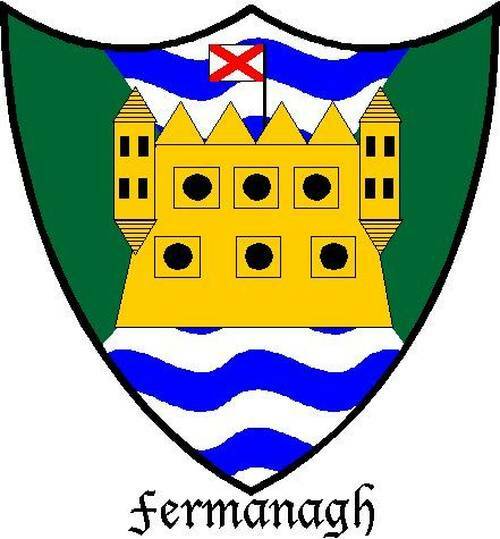 The coat of arms of Fermanagh county, Northern Ireland. In transparent window is the head of Medusa Gorgoneion (please, see watermarks description), nearby is Flax flower with denomination 10, inside. 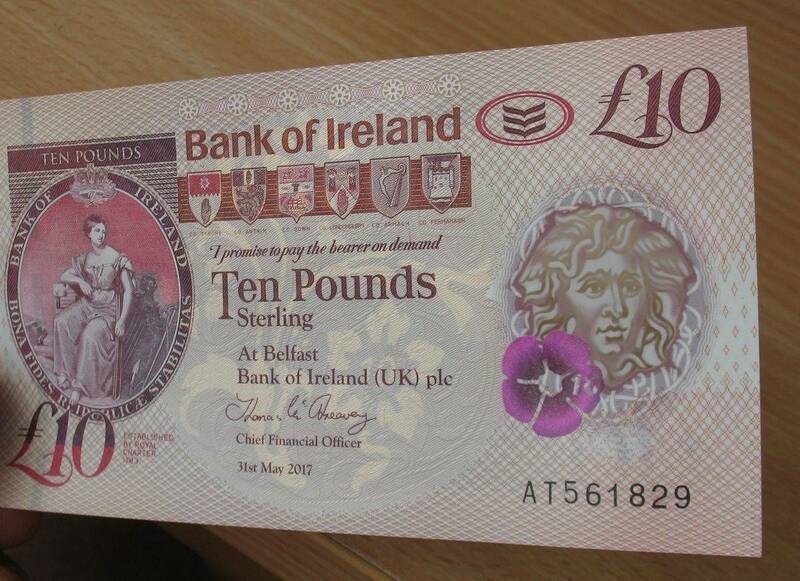 In the background of banknote is made, painted by gold foil, the image of a flower. 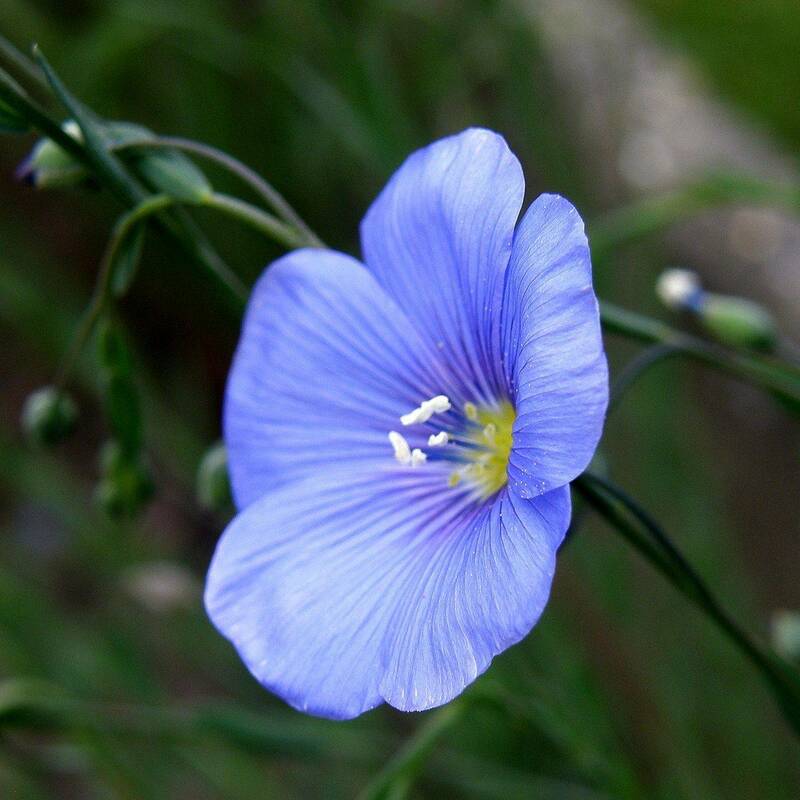 I wrote to the Bank of Ireland about this flower. 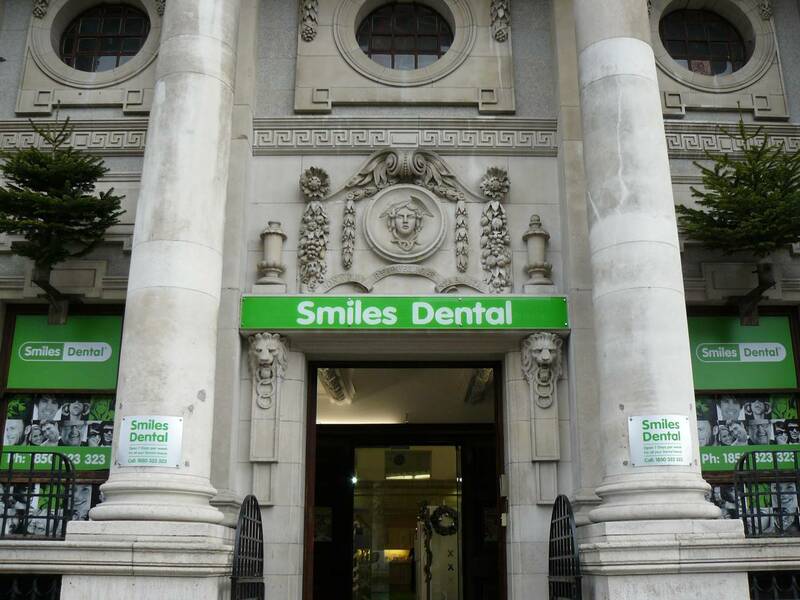 Thank so much to Alison, from Contact Us Unit for help. 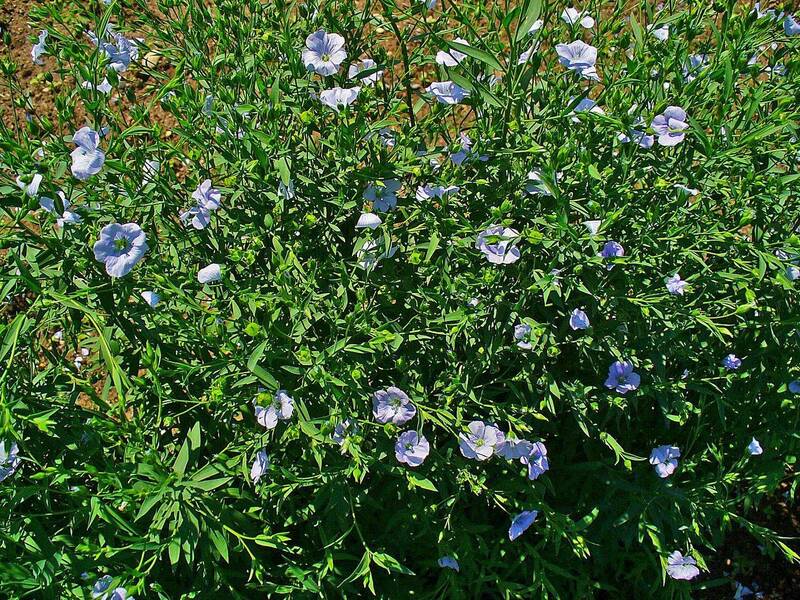 On banknote is Flax flower. Denominations in numerals are in top right and lower left corners, in words - centered. 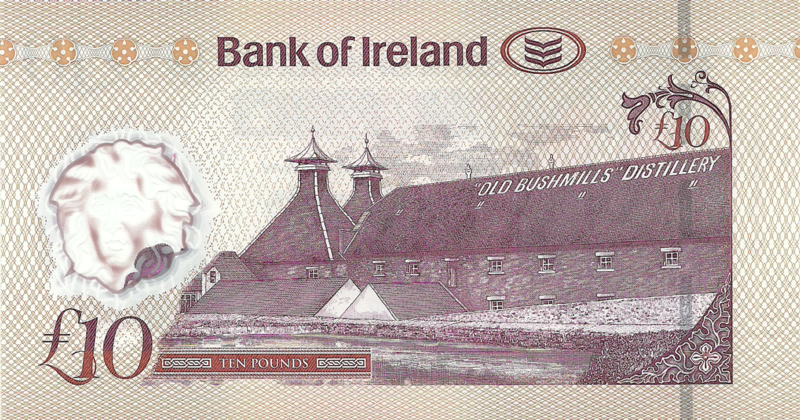 The Old Bushmills Distillery is a distillery in Bushmills, County Antrim, Northern Ireland. As of December 2014, it was in the process of transitioning from ownership by Diageo plc to Jose Cuervo. All of the whiskey bottled under the Bushmills whiskey brand is produced at the Bushmills Distillery and uses water drawn from Saint Columb's Rill, which is a tributary of the River Bush. The distillery is a popular tourist attraction, with around 120,000 visitors per year. 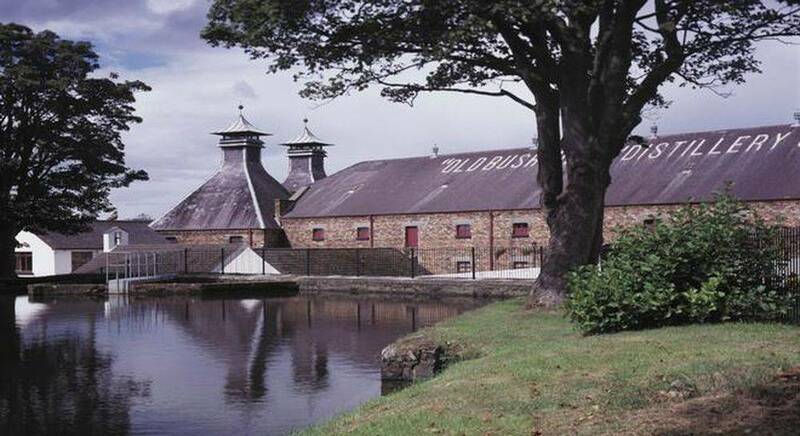 The company that originally built the distillery was formed in 1784, although the date 1608 is printed on the label of the brand - referring to an earlier date when a royal licence was granted to a local landowner to distil whiskey in the area. After various periods of closure in its subsequent history, the distillery has been in continuous operation since it was rebuilt after a fire in 1885. Denominations in numerals are in top right and lower left corners, in words - at the bottom. The Bank of Ireland (Irish: Banc na hÉireann) is a commercial bank operation in Ireland and one of the traditional "Big Four" Irish banks. Historically the premier banking organisation in Ireland, the Bank occupies a unique position in Irish banking history. At the core of the modern-day group is the old Bank of Ireland, the ancient institution established by Royal Charter in 1783. 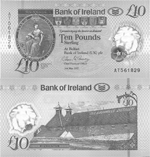 Although the Bank of Ireland is not a central bank, it does have Sterling note-issuing rights in the United Kingdom. 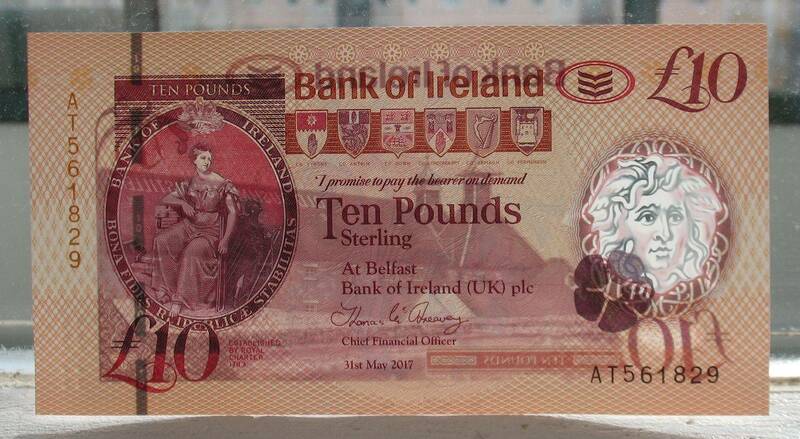 While the Bank has its headquarters in Dublin, it also has operations in Northern Ireland, where it retains the legal right (dating from before the partition of Ireland) to print its own banknotes. These are pound sterling notes and equal in value to Bank of England notes.